Expand your digital network of friends and colleagues by adding contacts to Skype – it makes them all a lot easier to get in touch with. The Skype experience on Windows and macOS has changed a lot over the years but today there’s real parity across both major desktop platforms. Skype should update itself automatically, but if you’re concerned that you may not be running the latest version, you can download it straight from Microsoft’s site or the Microsoft Store. When the main Skype window appears, look to the left-hand menu just above the “Suggested” heading. Select the + Contact button. Select Add New Contact from the list that appears. Skype will then show you a selection of suggested contacts based on people you already know and have in your Skype contact list. If the person you want to add to Skype is in there, great! Just select the Add button next to their name and you’ll be off and running. If their name doesn't appear on that list, look to the top of the window where the blue bar asks for a “Skype Name, email, number.” Write in what you know about your desired contact, choosing any of the three options suggested. As long as what you typed in was correct, the suggestion list will be narrowed down significantly or specifically to, the person you’re looking for. 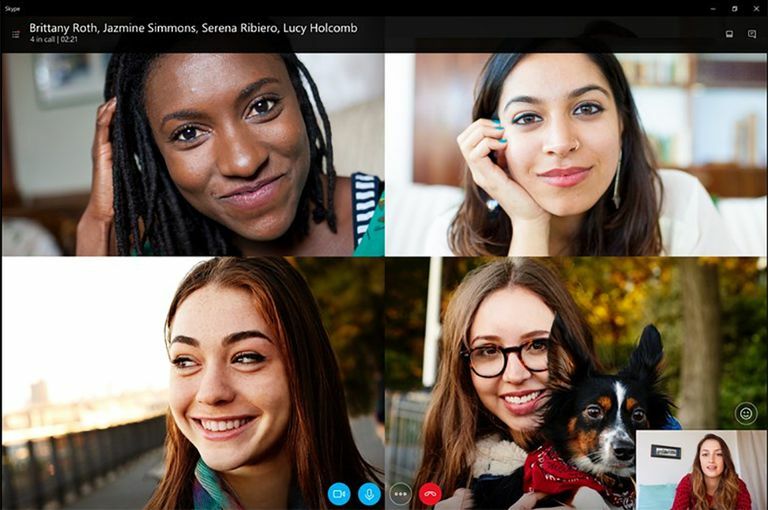 Once you’ve found them, select the Add button and they will become one of your Skype contacts. How Do I Add a Contact to Skype for Web? As much as the desktop versions of Skype are now uniform, the web service isn’t quite the same. It doesn’t have “contacts,” as the other versions of Skype do, but a conversation list. That means that anyone you’ve talked to recently is within easy reach, but that’s no help if you haven’t talked to anyone yet, or you want to chat with someone new. Go to the Skype for web page and login with your Microsoft account. Select the search bar in the top-left and type in the name, email address, or Skype username of your friend and either press the enter key on your keyboard, or select Search Skype Directory. After a moment, a list of potential contacts will appear. Chances are the one you want will be listed near the top, but don’t be afraid to look through the list if you’re not entirely sure. When you’ve found who you want, select their name. They will then appear in the main chat window with a blue button that reads, Add to contacts. Select it. It’s a good idea to send a quick message to introduce yourself next, though understand until the new contact accepts your request, they will appear offline and you won’t be able to chat with them directly. Like the Skype desktop client on Windows and macOS, the mobile version of Skype is comparable on both Android and iOS, so whichever device you have, the following steps will help you expand your network. Open up the Skype app and look to the bottom menu. Tap Contacts on the right-hand side. At the top of the screen, under the heading, Add a new contact, type in your friend’s Skype name, email address, or real name, and they should appear in the list underneath a moment later. Look through the potential options, as your colleague may not be the online one. When you’ve found them, tap their name to head through to their profile. Scroll down to the bottom of their profile page and a couple of options underneath their Skype name will be an Add contact, link. Tap it and they will then be added to your contact list. Skype for Business works a little differently than other Skype clients as its functionality is largely controlled by the organization’s administrator. That said, you will still have some autonomy for adding contacts on Skype, you just have to work within the rules. If you want to add someone within your organization, simply type their name in the search box. It will then automatically list everyone close to your search in My Contacts. If you see them there, right click and select Add to Contacts List. If you want to add someone outside of your organization you’ll need to make sure you have access to the Skype Directory from your administrator. Search for the person as above and select Skype Directory. When you’ve found your friend or colleague, right-click their name and select Add to Contacts List. Choose a contact group to add them to or create a new one for them. You may need to wait until your contact request is accepted by the other person, but once they have done, you can chat and call with one another directly. With a contact list brimming with friends and family, there’s no harm in getting rid of contacts you no longer chat to. Removing a Skype contact is just as easy as adding one as in most cases, the process is just in reverse. On Windows or macOS, select the contact you want to delete from your contacts list and then select their name as it appears in the main window. That brings up their profile page. Scroll down to the bottom where you’ll see several options. You can delete your conversation, block them, or delete the contact entirely. How far you want to go, is up to you. Skype for Web is even quicker. Just right-click the person’s name in your conversation and select Delete contact from the menu that appears. You will be asked for a confirmation, select the blue Delete button when ready. In Skype for Business, select the contact you want to remove, right-click them, and select Remove from Contact List. On mobile, tap Contacts, select the person you want to delete, scroll down to the bottom of their profile and tap Delete contact.